The award for the Provincial Town of E (Russia), which is being made in the Ethnofund production, was awarded to the Russian director, Dmitry Bogolubov, and his co-author, Anna Shishova-Bogolubova. A noteworthy current film deals with propaganda and its impact on the everyday lives of the Russian people, the locals’ loss of identity and the need to search for one’s genuine history. The film takes place in a small provincial town of Elnya, the first town in Russia to have been liberated of German troops in WWII. There is currently nothing but never-ending military celebrations of the heroic Soviet past. Military propaganda becomes a part of everyday life; people believe in the ideals of the Soviet past, both politicians and official agencies manipulate them and the veil of patriotism and fictitious image of an enemy are used as a smokescreen to cover the deteriorating living standards. Hanka Kastelicová voiced the reasoning behind:: “In many places on our planet, people have to face the changes caused by global warming. The Earth Masters project by a talented Spanish director, Alba Sotorra, tells the stories of advocates and opponents of geoingeneering, a daring, innovative as well as controversial new science. The project has a universal appeal and may become an important contribution to finding a way to help saving our planet. Czech TV postproduction Award has been granted to the document on the lives of Muslim girls. The lead documentary film programmer of the Czech TV Film Centre, Věra Krincvajová, announced the winner of the Postproduction award of the Czech Television which is also the general media partner of the event. The award is connected to a postproduction in kind services in the amount of EUR 7,400 provided by Czech TV. The prize was awarded to Before Father Is Back (Georgia, France, Germany), a film by a talented Georgian Director, Marina Gulbiani produced by Nushi Film. On Friday, March 10, the Doc Tank introduced five trans-media projects in preparation. The best among them, Teslafy.Me (directed by Janja Glogovac, produced by Janja Glogovac) won the id w / interactive documentary workshop Award. For more information about the projects, please go to www.dokweb.net. Institute of Documentary Film (IDF) has been supporting creative documentary films from Central and Eastern Europe since 2001. IDF provides both emerging and experienced filmmakers with training, financing, networking and pitching opportunities, helps them get international attention and co-productions, rewards the exceptional projects with Awards and further opportunities and improves their orientation on the international market. The promotional and practical service of IDF includes a wide range of online and offline catalogues being created annually, updating a thorough database of CEE documentaries and professionals and a calendar of important deadlines for producers, and bringing news from the world of documentary film in general via dokweb.net and social media. To the audience of documentary enthusiasts, IDF also brings a rich program of lectures, presentations and screenings in their home regions or during IDF’s industry events in Prague and Jihlava, screenings at alternative places in 7 countries across Europe and in Svetozor Cinema during Documentary Mondays in Prague. 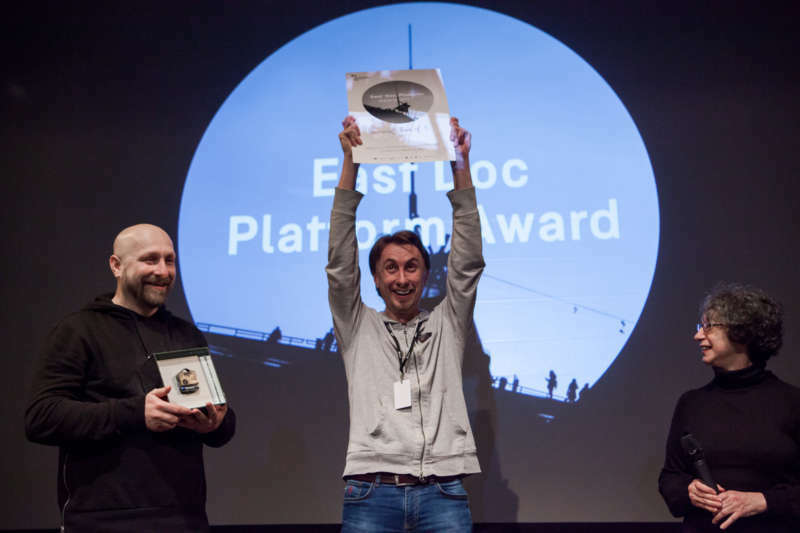 The 6th East Doc Platform (EDP) edition is the largest Central and East European documentary event. It is the meeting point for 120 East European filmmakers and producers who seek creative, financial and distributional support, and more than 100 key international producers, festival programmers, commissioning editors, buyers, distributors, sales agents, film fund representatives who will be able to choose from the most promising films and projects. The event is organized by the Institute of Documentary Film in association with the One World International Human Rights Documentary Film Festival. East Doc Platform brings the biggest number of the most important decision makers to the region. They are available for meetings to all EDP participants, as well as for accredited observers. East Doc Platform helps filmmakers to develop their story and visual style, and find suitable partners for co-production and distribution. The activities of IDF are supported by Creative Europe MEDIA, the Ministry of Culture (Czech Republic), the State Cinematography Fund (Czech Republic), the International Visegrad Fund, the City of Prague, the Central European Initiative (CEI) , the U.S. Embassy in the Czech Republic and the Austrian Cultural Forum in Prague.